Духи Kanebo (Канебо). Японская компания Канебо была основана в 1887 году. Изначально сфера ее деятельности ничиналась торговлей шелковыми и хлопковыми тканями. Однако, спустя 20 лет после основания, владельцы решили разнообразить ассортимент и стали поставлять на рынок косметические средства, а чуть позже и парфюмерию. Благодаря удачным сочетаниям композиций, основывавшихся на природных компонентах духи, туалетная вода и одеколоны Канебо для мужчин и женщин получили положительные отзывы и быстро стали известны за пределами Японии Купить продукцию Канебо в Москве можно в нашем интернет-магазине. Сделать заказ и оплатить его можно на официальном сайте компании. В нашем интернет-магазине вы можете приобрести лучшую косметику данного бренда: Sensai Ultimate. The Emulsion 100ml, Sensai Premier. The Emulsion 100ml, Sensai Face Fresh Paper. Papiers Matifiants 100шт., Sensai Cellular Performance. Hydrachange Eye Essence 15ml, Sensai Silky Bronze. Sun Protective Cream for Face SPF50 50ml, Sensai Cellular Performance. Deep Lift Filler 20ml, International. Activating Contouring Body Gel 200ml, International. Relaxing Body Cream 200ml, Sensai Cellular Performance. Lifting Essence 40ml, Sensai Cellular Performance. Lift Remodelling Cream 40ml, Sensai Cellular Performance. Body Firming Emulsion 200ml, Sensai Cellular Performance. Cream Gift Set 40ml + 10ml + 5ml, Sensai Silky Purifying. Cleansing Milk 150ml, Sensai Silky Purifying. Cleansing Gel with Scrub 125ml, Sensai Silky. Moisture Supply Eye Cream 15ml, Sensai Silky Purifying. 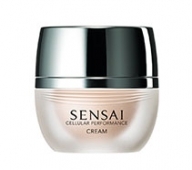 Cleansing Cream 125ml, Sensai Cellular Performance. Total Lip Treatment 15ml, Sensai Silky. Pads for Eye Mask 50pz., Sensai Silky. Intensive Eye Mask and Essence 40ml + 25pz, Sensai Cellular Performance. 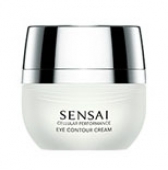 Eye Contour Cream 15ml, Sensai Silky Purifying. Cleansing Oil 150ml, Sensai Silky Purifying. Gentle Make-Up Remover for Eye and Lip 100ml, Sensai Cellular Performance. 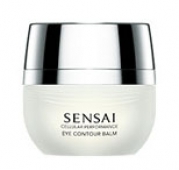 Eye Contour Balm 15ml, Sensai Premier. The Cream Set 40ml + 18ml + 18ml + 4.5ml, Sensai Cellular Performance. Lifting Radiance Concentrate 40ml, Sensai Ultimate. The Cream 40ml, Sensai Cellular Performance. Lifting Radiance Cream 40ml, Sensai Cellular Performance. Re-Contouring Lift Essence 40ml, Sensai Cellular Performance. Body Firming Cream 200ml, Sensai Cellular Performance. Lifting Eye Cream 15ml, Sensai Silky Purifying. Creamy Soap 125ml, Sensai Silky Purifying. Mud Soap (Wash and Mask) 125ml, Sensai Cellular Performance. Wrinkle Repair Collagenergy Set 50ml + 7ml + 8ml + 4.5ml, Sensai Ultimate. The Eye Cream 15ml, Sensai Premier. The Eye Cream 15ml, Sensai Cellular Performance. 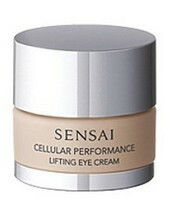 Recovery Concentrate for Eyes 15ml, Sensai Cellular Performance. Wrinkle Repair Eye Cream 15ml, Sensai Cellular Performance. Body Contour Concentrate 200ml, Sensai Cellular Performance. 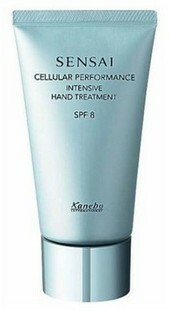 Intensive Hand Treatment SPF8 100ml, Sensai Cellular Performance. Throat and Bust Lifting Effect 100ml, Sensai Silky. 10 Seconds Awakening Essence 40ml, Sensai Cellular Performance. Recovery Concentrate Cream 40ml, Sensai Cellular Performance. Wrinkle Repair Cream 40ml, Sensai Cellular Performance. 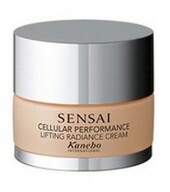 Lifting Cream 40ml, Sensai Cellular Performance. Emulsion III (Super Moist) 100ml, Sensai Cellular Performance. Emulsion II (Moist) 100ml, Sensai Cellular Performance. Emulsion I (Light) 100ml, Sensai Cellular Performance. Cream 40ml, Sensai Silky. Moisture Polish Essence 40ml, Sensai Cellular Performance. Hydrachange Cream 40ml, Sensai Silky. 2 Weeks Night Firming Essence 2x4ml, Sensai Silky. Brightening Cream SPF8 40ml, Sensai Silky. Emulsion (Light) 100ml, Sensai Silky. Emulsion (Moist) 100ml, Sensai Silky. Emulsion (Super Moist) 100ml, Sensai Silky. 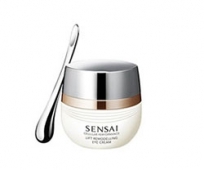 10 Minutes Relaxing Mask 100ml, Sensai Silky Purifying. Silk Peeling Powder 40ml, Sensai Cellular Performance. 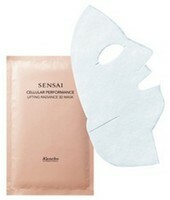 Hydrachange Mask 75ml, Sensai Cellular Performance. 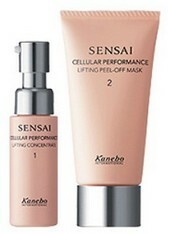 Lifting Mask (Peel-Off) 20ml + 50ml, Sensai Cellular Performance. Lifting Radiance 3D Mask 35ml (6 масок), Sensai Cellular Performance. Mask 100ml, Sensai Silky Bronze. Soothing After Sun Mask 27ml (8 sheets), Sensai Silky Purifying. Silk Peeling Mask 75ml, Sensai Silky Purifying. Mud Soap (Wash and Mask) 125ml, Sensai Silky Purifying. Pore Clarifying Essence 25ml, Sensai Silky Purifying. Milky Soap 150ml, Sensai Silky Purifying. Instant Silky Foam 150ml, Sensai Cellular Performance. Lotion I Light 125ml, Sensai Cellular Performance. Lotion II Moist 125ml, Sensai Premier. The Lotion 150ml, Sensai Silky. Softening Lotion (Light) 125ml, Sensai Silky. Softening Lotion (Moist) 125ml, Sensai Silky Bronze. Self Tanning 150ml, Sensai Hair Care. Quick Hair Conditioner 125ml, Sensai Cellular Performance. Cell-Refining Essence (Wipe-Off) 75ml, Sensai Cellular Performance. Essence 40ml, Sensai Silk. Soothing Cream 40ml, Sensai Hair Care. Intensive Hair Mask 200ml, Sensai Shidenkai Series. Volumising Conditioner 250ml, Sensai Shidenkai Series. Volumising Shampoo 250ml, Sensai Hair Care. Volumising Shampoo 250ml, Sensai Shidenkai Series. Hair Loss Treatment (for Men) 150ml, Sensai Shidenkai Series. Hair Loss Treatment (for Women) 150ml, Sensai Cellular Performance. 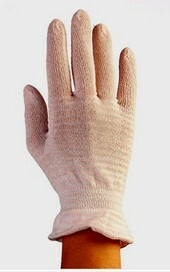 Treatment Gloves, Sensai Foundations. Lift Up Base 30ml, Sensai Foundations. Skin Focus Corrector 5.6g., Sensai Colours. Liquid Eyeliner 0.5ml, Sensai Colours. Liquid Eyeliner Refill 0.5ml, Liquid Finish Fond de teint Fluid SPF10 30ml Тестер, Cream Finish SPF10 30ml Тестер, Sensai Foundations. Designing Duo Bronzing Powder 4.3g., Sensai Colours. Eyelash Base 38°С 6g., Sensai Colours. Mascara 38°С (Volumising) 8ml, Sensai Colours. Mascara 38°С 6ml, Sensai Colours. Mascara 38°С (Separating & Lengthening) 7.5ml, Sensai Colours. Eye Shadow Palette 6g., Sensai Colours. Eyelid Base 6.5g., Sensai Colours. Cheek Blush 4g., Sensai Cellular Performance Foundations. Brightening Make-Up Base 30ml, Sensai Foundations. Loose Powder (Translucent) 20g., Sensai Foundations. Silky Highlighting Powder 5g., Sensai Foundations. 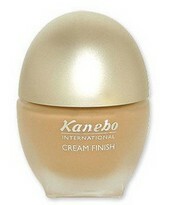 Total Finish SPF15 (refill) 12g., Sensai Foundations. Total Finish Natural Matte SPF15 (refill) 12g., Sensai Foundations. Fluid Finish Lasting Velvet 30ml, Sensai Foundations. Fluid Finish SPF15 30ml, Sensai Cellular Performance. Total Finish Foundation SPF15 Compact Case, Sensai Foundations. Smoothing Water Make-Up Base 30ml, Sensai Colours. Lip Base SPF15, Sensai Cellular Performance. Total Finish Foundation SPF15 Case, Sensai Cellular Performance. Pressed Powder 5g, Sensai Cellular Performance. Total Finish Foundation SPF15 (refil) 12g, Sensai Foundations. Triple Touch Compact Set, Sensai Foundations. Concealer SPF 15 (Brush type) 2.6ml, An Deux Mille, Milano Collection 2014, Goce, Eroica.